One of the most often asked questions we get from customers is, "How long do LED Christmas lights last?". This question is completely understandable. 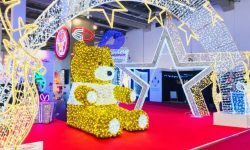 LED Christmas lights are not cheap and while everyone has heard about the great power savings and the recent improvements in LED technology, people are still concerned whether or not the upfront expense of buying LEDs will really pay off. 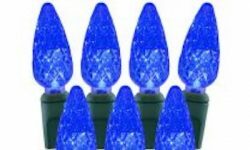 Anyone that has spent much time browsing the web or walking the isles of retail stores looking for LED Christmas lights have probably seen and heard a ton of hype about how great LEDs are. They barely use any electricity, they are super bright, they last forever and might even eventually contribute to world peace! Okay, so maybe they aren't actually putting LED lights and world peace in the same statement, but if you look at some websites, it's not far off. Everyone seems to be really talking up LED Christmas lights and in some cases it is true that they are a great choice for many people. However, anyone expecting to buy a set of LED lights and have them last for 15 or 20 years will be disappointed. Before going any further, it's important to point out that here at ChristmasDesigners.com, LED Christmas lights make up 90% of our light set sales. We have completely switched over to LEDs for our own installations which consist of over 60,000 sets or 3 million + bulbs. So there's no doubt that we're huge fans of LED light sets. But also as one of the country's leading Christmas sellers, we want to make sure our customers understand what LEDs will and won't do. A well informed customer is our goal and we've found that the more informed we help our customers become, the more loyal they are to us and in turn we're able to build a long term relationship. When it comes to LEDs, no other technical spec is more misunderstood and misrepresented than LED bulb life expectancy. Many people confuse the bulb life hour rating with how long the light set itself will last. For years, consumers have bought incandescent light bulbs with hour ratings such as 3,000 hours. This basically means that you can expect that bulb to last about that long. Because buyers were so used to this hour rating, they tend to view LED Christmas lights the same way. If a Christmas LED bulb is rated at 75,000 hours, then it should last that long, right? Unfortunately that is not the case. While the LED bulbs themselves may be rated to last for an incredibly long time, this number was established in a factory setting without taking into account other components of a light set that may cause it to go out as well as wear and tear from handling and weather. To make bulb life even more confusing, many websites and brick and mortar stores greatly exaggerate the bulb ratings. During the first few years LED Christmas lights were on the market, it was common to see bulb ratings around the 200,000 hour mark. 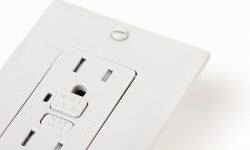 While most manufacturers and sellers have now lowered this to a more reasonable range of 25,000 to 75,000 hours, there are still uninformed websites that claim 200,000+ hours of life from their LED bulbs. To put these hourly ratings into perspective, if a bulb is rated at 200,000 hours and you are going to be using it from Thanksgiving to New Year's each year and left the lights on for 12 hours a night, the bulbs would last 438 years! Obviously the wire, plugs, solder connections and other components will break down long before the lights reach even a fraction of the 200,000 hour mark. A more realistic rating for LED bulbs is 75,000 hours or less. But keep in mind that this is only for the LED diode and has nothing to do with how long the set will last. When it comes to LEDs, it's better to buy light sets that are made with quality components, good solder connections, reliable rectifiers and overall solid craftsmanship. These are the areas that will wear out much quicker than the bulbs. A good quality Pro or Commercial Series LED Christmas light will hold up on a seasonal basis for 6 or 7 years if properly removed each year and stored during the off season. If left up on a year round basis LED light sets will last somewhere between 24 to 30 months. 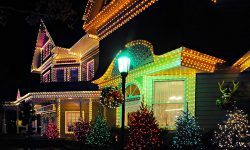 The information below summarizes the life expectancy for the most common three grades of LED Christmas lights. Switching to LED Christmas lights is a great choice for many people. 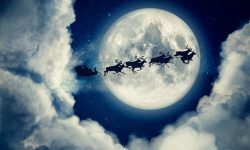 Once you've installed your first set of LED lights, it's hard to imagine a Christmas season without these high tech wonders. But before making the investment to buy LEDs, it's important to cut through the hype and misinformation that is out there. When looking for a source to buy from, make sure they state the facts, and don't exaggerate with false, unrealistic claims. There are many good sellers out there, but unfortunately, there are also a lot that simply want to mislead unsuspecting customers into buying products that won't hold up to their expectations. Not sure if you are being misled? Shoot us an email and we'll check it out for you. 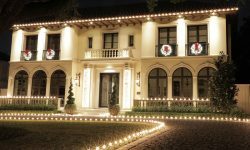 While we do want your business and hope you do buy from us, however, our #1 concern is making sure that everyone has a pleasant buying experience when it comes to LED Christmas lights. Nothing upsets us more than hearing the horror stories people have when buying from less than trustworthy Christmas light sellers. So whether you buy from us or someone else, we know we've done our job if we can assist in helping you have a great buying experience.